This edition includes insight into the 2015 season with all the record-breaking play and stories. Plus, the magazine features a look at the 45-year career of recently retired Cape League president Judy Walden Scarafile. 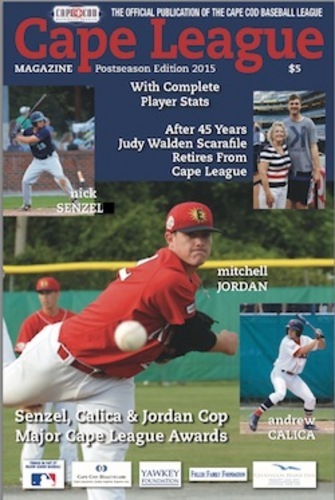 Send a $10 check or money order made out to Cape Cod Baseball League, P.O. Box 266, Harwich Port, MA 02646-0266. The cost includes shipping and handling.